Lotus Direkthilfe is a non-profit charity trust to support people in need within the Tibetan culture. Our activities are focused upon the support of projects of the Tibetan Buddhist Monastery Benchen Phuntsok Darjeeling in Kathmandu, Nepal. In 1985 Kyabje Tenga Rinpoche placed the foundation stone of the monastery at the feet of the Swayambhu Stupa, one of the most famous pilgrimage sites of the Himalaya region. Since then the monastery is under the administration of Sangye Nyenpa Rinpoche and Tenga Rinpoche. 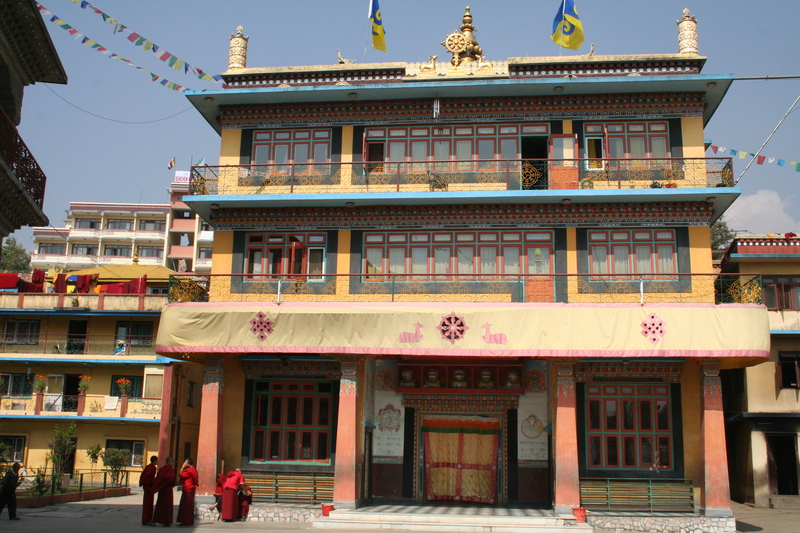 It is a place were the traditional Tibetan Buddhist teachings are passed on unadulterated. Further more the monastery has an integrated primary school offering an officially recognised education to many exile Tibetans and Nepalese children with a poor social background. At present the monastery provides education, feeding and health care for more than 300 monks. Hereby the monastery community depends entirely on donations. Sangye Nyenpa Rinpoche and Tenga Rinpoche bear the social responsibility not only for the monks but also indigent families of the students. With a sponsorship of 40 € a month you can secure livelihood, education and health care of a student. You could share a sponsorship with your family or friends. But any monthly amount including one time donations are of a great help. In the doctrine of the Buddha it is said that intellectual knowledge and meditative experience are like the two wings of a bird and that one without the other does not fulfill its purpose. Therefore Tenga Rinpoche established in Pharping (in the Kathmandu country side) the Benchen Clear Light Meditation Centre, where the monks train themselves in meditation in a 3-years retreat. 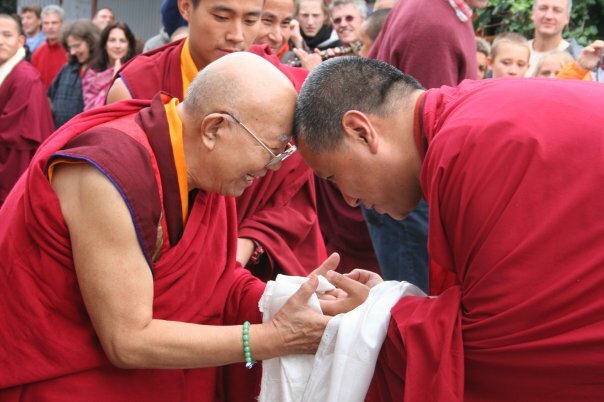 Practicing in this way the students develop the inherent clarity and wisdom of mind for the sake of all sentient beings. The Buddhist University – Shedra- was established by Sangye Nyenpa Rinpoche so that the Buddhist Philosophy can be studied in its depth. Within the nine years curriculum the Buddhist sciences are not only to be understood intellectually but also practiced vividly. After graduating the studies it is possible to achieve the title of a Khenpo can teach the Buddhist Philosophy in his own right. In this respect the Retreat Centre and the Shedra constitute the cumulation of the monastic education. The Benchen Free Clinic was founded in 1994. The clinic supplies the Benchen community with medical treatment but furthermore provides free medical care to the local people who are stricken by grinding poverty.